While Zambian president Micheal Sata has no interest in soccer matters and has never even watched the national team in action, his counterpart Ghanaian President John Mahama has left no stone unturned to make sure that all the key players are available ahead of Ghana’s home crucial and potentially deciding match against Chipolopolo in Ghana. Yesterday, (Tuesday), the country’s president Mr. Mahama personally met midfielder Andre and Jordan Ayew who he convinced and have since rescinded their decision to retire from the Black Stars after a meeting. The Ghanaian Head of State has so far met Kevin Prince Boateng who has also rescinded his decision to retire while the fruitful meeting with Real Madrid ace Michael Essien will also see him come out of the international retirement and be eligible for selection against Zambia in September. 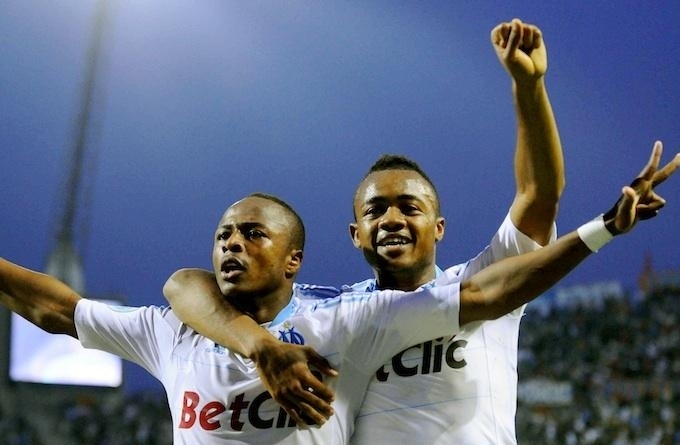 The Marseille duo of Andre and Jordan Ayew agreed to immediately call off their international retirement after their four-month absence from the national team following the meeting at the Flagstaff House, the seat of government, in Accra. It emerged during the meeting that the Marseille duo first met the President during his recent visit to France where they spoke about their premature retirement from the national team. This means the two players will be available for selection for coach Kwesi Appiah after they opted out of the national team for various reasons. “Everything is OK and I hope things with the Ghana federation will be better,” said Andre said after the meeting. “We cannot play football with conditions. We play football with our heart. There are no conditions set to our comeback. GHANAsoccernet.com exclusively reported on Tuesday afternoon that the country’s leaders had called the duo for a meeting with Sports Minister Elvis Afriyie-Ankrah and Ghana FA Vice President Fred Crentsil. The third Ayew brother Rahim, who has been out of reckoning for the Black Stars for over one year, also attended the meeting in the Ghanaian capital. The meeting was called to address the grievances of the Ayew brothers who resigned from the national team in the wake of the 2013 Africa Cup of Nations. This follows the promise made by President Mahama on Saturday that he will help to get the players who have retired from the national team prematurely. The fruitful discussion will see the Marseille duo available for selection for Ghana’s final Brazil 2014 World Cup qualifier against Zambia at home. Andre quit the national team claiming he was unhappy over some of the management members of the team. The 23-year-old was axed from Ghana’s 2013 Africa Cup of Nations squad after failing to report in time for the pre-tournament camping base in Abu Dhabi, UAE. His brother Jordan simultaneously rendered in his resignation insisting he wants to be guaranteed first team place after being excluded from the squad. Michael Essien, the ex-Real Madrid star ace last played for the Black Stars at the 2010 Africa Cup of Nations where he suffered a knee injury in the tournament in Angola. It was his second serious knee problem he suffered while playing for his country after the first setback in a World Cup qualifiers in Libya. Subsequently another knee injury he picked during pre-season training with his club sidelined his for six months which nearly cost him his career. Essien made a return to active football before the turn of the year in 2011 but asked to be excused from international duty. He was left out of Ghana’s squad for the 2012 and 2013 Africa Cup of Nations finals. It was expected that the former Ream Madrid would have announced his imminent return after last Saturday’s charity football he organised after meeting the president.